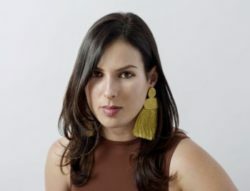 Jordan Ashley is the founder of Souljourn Yoga , a non-profit organization that hosts yoga retreats all over the world in order to support women/girls from developing countries in obtaining an education. 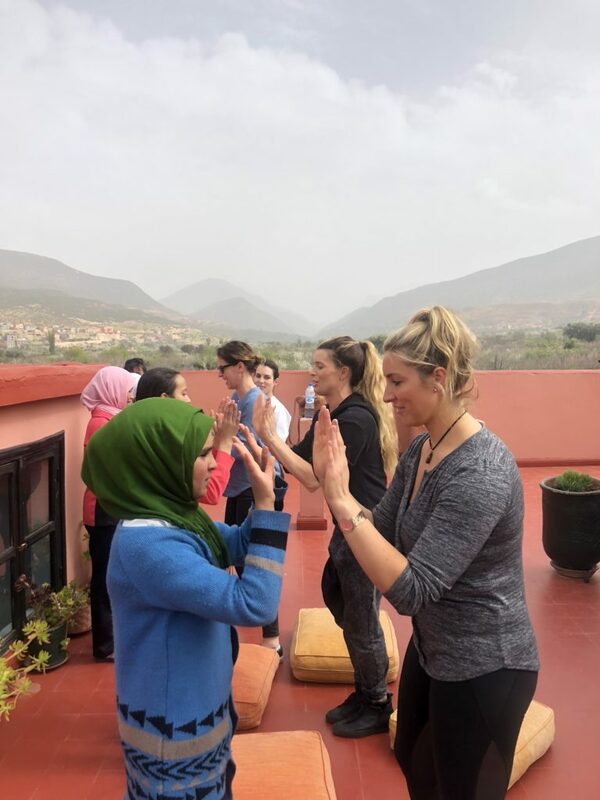 Jordan supports the women with an amazing experience of yoga and inner balance on the yoga retreat and provides an unforgettable experience with the women of the community equally. Souljourn Yoga is operating by the word “seva,” which means giving back or together with in Sanskrit. This is used in a way to empower women and women’s education. What was your journey towards Souljourn Yoga? My background is in journalism and yoga as well, which is an interesting combination. I lived in south-east Asia where I was a reporter in Cambodia and Thailand, after which I moved back to New York. I finished my teacher training while I was freelancing. I wanted to create a platform that involved global travel, the practice of yoga and the idea to support women’s education and places, where it is not a sure thing per se and where there are obstacles and tribulations attached to it. Where are the yoga retreats and how does it work? We are currently in 7 countries on 4 continents. This will be the fourth year that we work in Peru, that has been the longest retreat that have been running. Also we have done our third year retreat in Morocco and then we have our second year in countries as Tibet and Cambodia. You can take a look at our website Souljourn Yoga which explains the itinerary and a breakdown of what each person will be experiencing. Also we include a 300 -500 dollar tax deductible donation that goes to our sister organization on the ground with who we partner and meet up with. Through a mutual exchange that could be making lunch together, art project or a yoga class. We want to change the way people gives, as many times people are not sure where there money is going to or who it is specifically serving when they donate. Integral and communal experience is something we want to give them. What is your experience after the donations with the women? We have at least 1 to 6 opportunities to connect with the women on the ground. 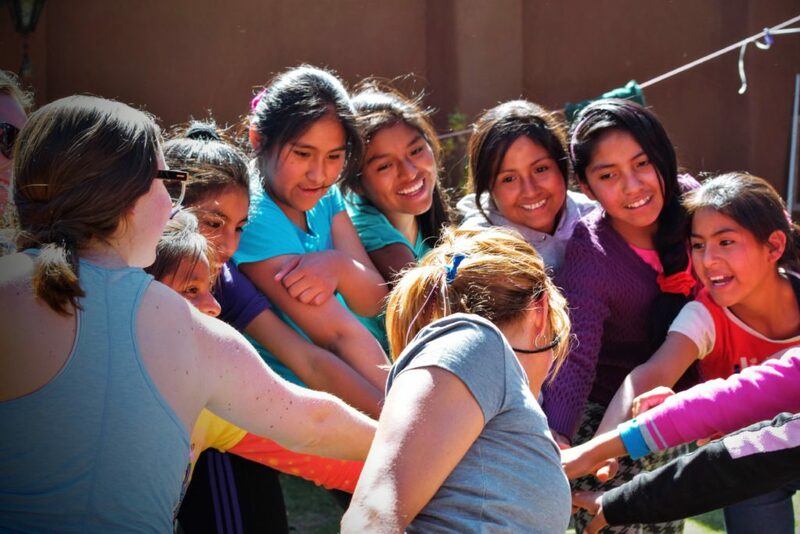 Our focus is girls focus initiatives, that looks like a girls dormitory or a girls school. Somewhere where these amazing young women have already been extracted from their home. That could mean that they were unfortunately exposed to risk factors like trafficking or child marriages. These young women have been taken out of the worst and now have an opportunity to be able to excel and reach their highest human potential. We love supporting them and visiting the same places every single year. Slowly but surely we begin to add on places like South Africa in January 2020 and I have extended my personal work to engaging in other populations such as genocide survivors in Rwanda. We use this idea of yoga or as union to create an experience of togetherness, it is not about healing or saving, it is just about being able to connect to someone to who you might not have met if you have not been on one of our retreats. I am a big believer in this idea of a global community. We are all citizens of the world, doesn’t really matter where you are from. Especially, us as women we have had similar experiences, joy, pain, loss and happiness. It is nice to connect with each other on a different level. How was the yoga experience with the genocide survivors of Rwanda? It was the most humbling thing I have ever done. It was not really about having to teach or having to show them more advanced yoga, but more the idea of connecting body, mind, heart and spirit together. To have an opportunity to be able to move freely and to express oneself, lot of the women were a lot older and they were given the space to be in their own bodies, without having an angle, just move freely. Where are the donations used for? The donations are between 300 – 500 dollars and go towards books, scholarships, uniforms and food. An example on how powerful a donation really is showed in our retreat in Nicaragua, which supports an amazing girls after school initiative. It is a great after school program, and with one retreat we could support 8 scholarships for a semester as well as books, food, tutoring and supplies. How many people can join a retreat? How many retreats do you do in a year and how many people do you have in a group? 5 -7 retreats a year, started off with me and my friend Alison, Chicago based yoga teacher. Now it is expanded and now we work with teachers and yoga teachers who volunteer all over the globe. Dedicated giving time and energy, and often the retreats are over bank holidays. What do you think worldwide, women can do to empower themselves? Everyone is born under different circumstances, and we do our best under these circumstances to live our best live or to live the best version of our lives. Having this kind of introspection into yourself is really a blessing and we can keep growing and extending and opening our mind and heart. It is important to have a good support system be it your friends, your family or your colleagues. If someone is going to be more forward, it is important that they are supported in their actions and to know that they are not alone. We talk about rising feminism and how more so than ever times up movements such as “times up”and the woman’s march we have seem globally now which is such a phenomenon. Women’s rights are human’s right. So I think just being able to live compassionately and kindly is also a step in the direction. You never know who is sitting next to you and you have no idea what they have been through. I do not know what they have been through, but likewise they have no idea what I have been true. Therefore, it is a nice way to connect everyone around us without knowing the story but connect on a different level by yoga. What is your future perspective for Souljourn Yoga? We are doing doing retreats for the people from the predominantly from the west and bring them to destinations like Rwanda and Cambodia, which are countries that are not traditionally known for hosting yoga retreats and by that breaking that barrier. We will also do our own on the ground programming as this summer I am teaching a teacher training immersion with our sister organization Komera, where we teach their facilitators on how to teach yoga. They in return can teach yoga to the teen moms and provide them with a future. My whole purpose of this is to use yoga as a way to empowerment. My long term goal, let’s just say in about 5 years is to open a satellite studio that for example you, Michelle living in Malta can attend the training from one of the Cambodian or women from Rwanda that took the yoga training. Like this we all enrich each other and we can mobilize from anywhere and give these women a chance. Not everybody wants to be a doctor or a lawyer, so providing yoga teacher training’s will give them a different perspective of life. We get to choose who we want to become, why don’t we give the same chances to these women. Thank you Jordan Ashley for your vision and wisdom! This article proves that we are all human beings on this planet no matter what our cultural back ground is, we are all one and together in it and we have to work as a community to work towards one goal, which is creating a better planet for all of us.